Add cheese madness follower and spell. DON'T DOWNLOAD IF YOU DON'T LIKE CHEESE!! This document uses the Google Translation and Weblio translation. The Daedric Prince of Madness that discovered a corpse of "Lokir" in the suburbs of Helgen. Because he was bored very much, he decided to let the corpse revive. He revived a corpse with the Soulgem which the soul of the Khajiit entered. Cat having a body of Lokir looks very glad that I was able to revive. The prince of the madness fed the mortal special cheese and told, "enjoying your rest of life" to a mortal. Cat having a body of Lokir came to love cheese madly than Skooma. The prince of the madness decided to enjoy it to see the state for a while. 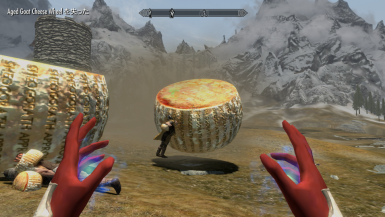 With the introduction of this MOD, you will be shouting "CHEEEESE! Cheese is gone! I want cheese!". Add Lokir with the soul of Khajiit. He can treat spelling of the usable madness by using special cheese. 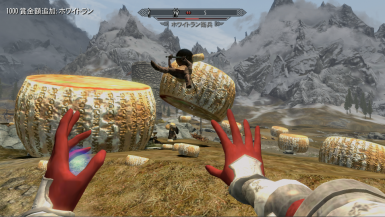 The player who obtained this cheese can treat it. Can use the next spelling when you obtain item "Aged Goat Cheese Wheel". 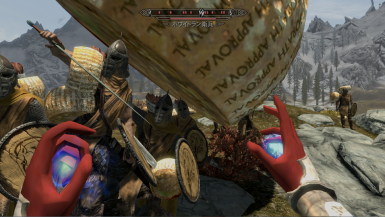 fire the cheese wheel which accelerated by Magicka. The enemy will be blown by a impact. Burning cheese burns down the whole enemy with a small explosion. Create huge cheese on an enemy overhead and crush an enemy. 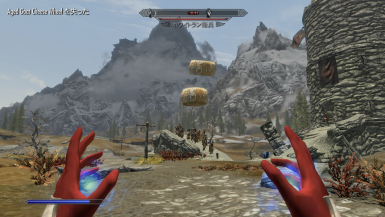 When the huge cheese increases a impact with magic and an arrow, it explodes and gives large damage. When these spelling uses it, I use "Aged Goat Cheese Wheel" one. When cheese disappears, spelling disappears from a list of spelling and is not usable. You must obtain cheese to use the spelling again. 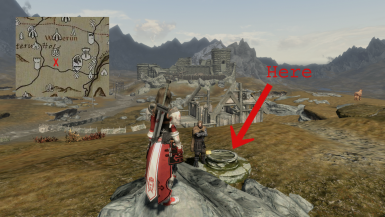 The neighborhood of deserted house where there is the location near a west watchtower of Whiterun. Because there is the old well which cheese is scattered in, you can find a follower in that. He use cheese and can use the strong spelling, but am weak because it is Lokir. In addition, I do a respawn. In the existing version, it can increase cheese by using the scroll that I can discover in the old well which Lokir lives in. I am going to increase acquisition methods in future verUP.